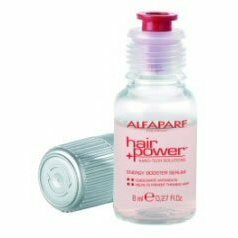 :: Home Hair Regrowth Treatments Hair Growth & Vitamins Alfaparf - hair power energy booster serum for men 6/.27 oz. 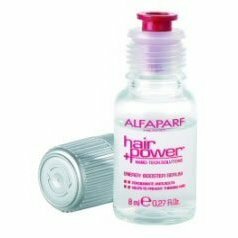 Alfaparf Hair Power Nano-Tech Solutions Energy Booster Serum for Men. Saw Palmetto extract inhibits the 5-a reductase enzyme, responsible for hair loss in men. Panex Ginseng helps stimulate microcirculation within the scalp by encouraging root activity. 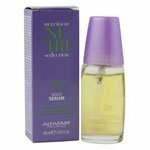 SOD Action nuetralizes the free radicals responsible for weakening hair. Available size: Box of 6/.27 oz. and 6 applicator nozzles.